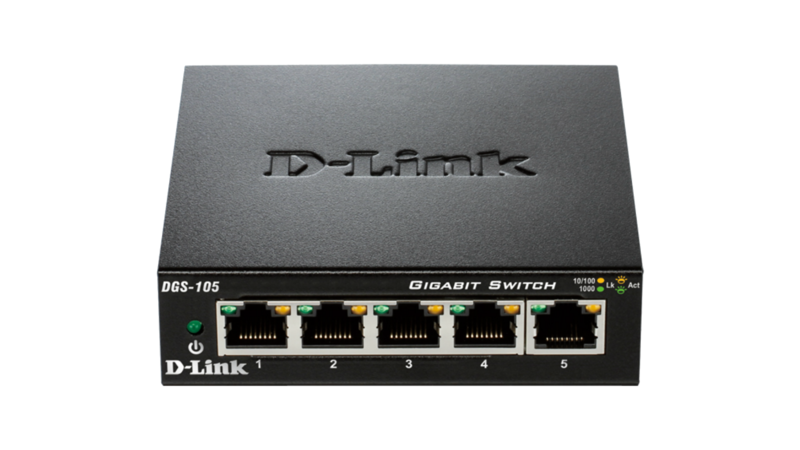 Gigabit Ethernet transfer speeds make it ideal for transferring files quickly and online gaming. 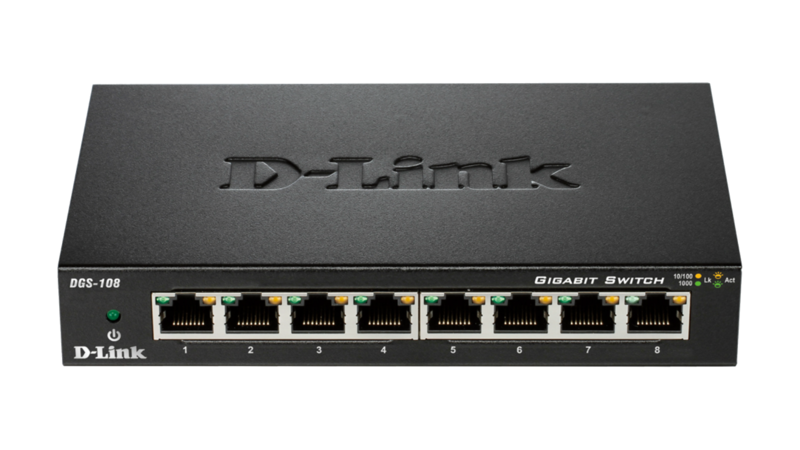 With front, easy-to-access Ethernet ports with two colour LED light indicators per port to make it easy to distinguish the link status. 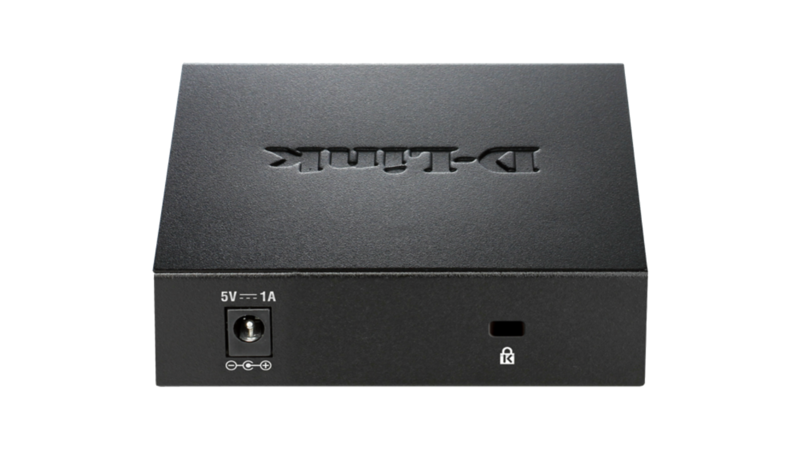 The switch features QoS, which organizes and prioritizes time-sensitive and important data for efficient delivery, allowing for smooth streaming media, VoIP calling, and online gaming. 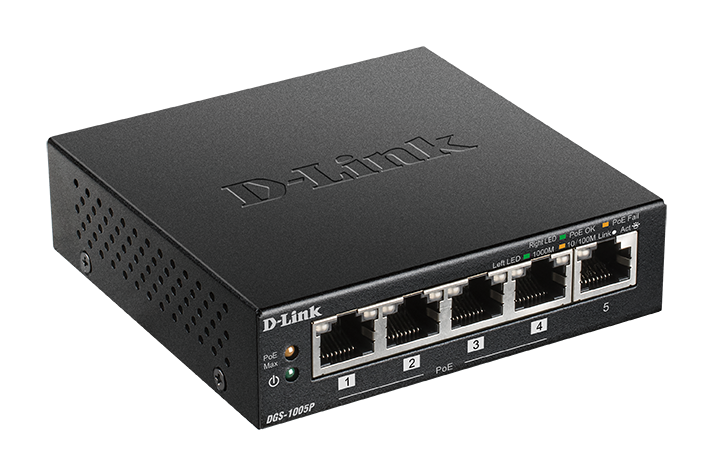 The D-Link Cable Diagnostics Function enables users to be instantly aware of cable conditions through the LED display on the front-panel. Users can determine whether the pin connections of their cable connectors are correct, facilitating prompt network troubleshooting if required. When Internet Group Management Protocol (IGMP) snooping is enabled, the DGS-105 listens to IGMP conversations between hosts and routers and maintains a map of exactly which links need IP multicast streams, resulting in greater efficiency and smoother performance. This switch saves energy and reduces heat, which in turn extends its product life without sacrificing performance or functionality. The switch supports IEEE 802.3az Energy-Efficient Ethernet (EEE) which can detect when a connected computer is shut down or when there is no Ethernet traffic, and will proceed to power down the idle port, saving a substantial amount of power. In addition, the switch can also save energy by detecting the length of cable connected to a port and use only as much power as is required. Both of these features work together to help you save power automatically. Designed with durability and performance in mind. Its sturdy metal housing ensures the product can withstand wider operating by helping to dissipate heat and reduce stress on internal components. 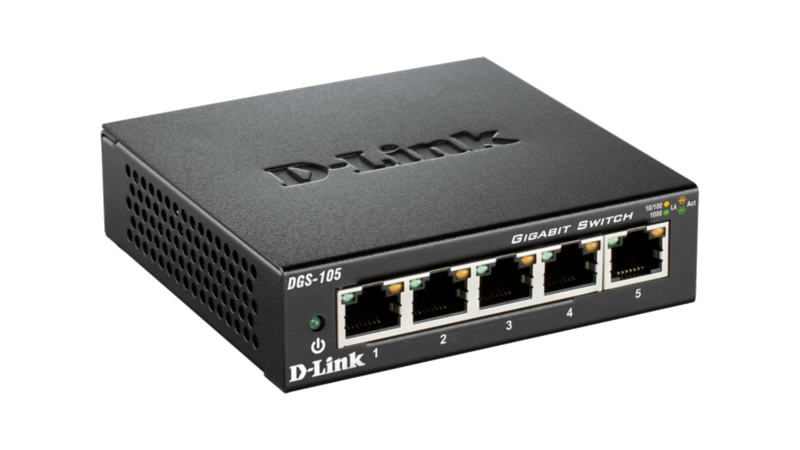 The DGS-1005P features four PoE ports to connect and power several devices at once.